Together with a crazy life of trying to keep many children alive, and staying sane, I haven’t written much lately. I feel God calling me, saying that many people need good examples and inspiring people to offer hope and assurance these days. So much hurt and pain in my own life, as well as those I’m surrounded by makes me wish for heaven. It also makes me think of people who have lived through far more difficult times than these. It makes me want to grasp for the hem of their skirt, to touch them, to know how they managed it all. It can feel endless- the dreary housework, cold weather, children stuck inside, and people wanting attention. Constant ongoing pressure to do more and be more. Well, we aren’t meant to live with that sort of insurmountable stress. We were meant to live in peace, to rest in the arms of our Heavenly Father, so here, today, right now, give a moment to hear this story, and may it be an inspiration to you, as it is to me….. If you don’t know Barbara Morgan, you should. She was born in 1938 in San Francisco, and had one younger sister. She was primarily raised in Phoenix, Arizona, where they moved when she was 8, and lived there through high school. When she was very young, Barbara suffered a bout of rheumatic fever and since this happened before penicillin was readily available, the treatment plan included staying very still and waiting for the body to heal because severe damage could be done to the heart unless precautions were taken. Barbara remembers her doctors and nurses and wonderful mother making this arrangement “not too terrible.” Her mother frequently met with her teachers and brought her schoolwork to complete at home so that she didn’t get behind. There was a time however, when she was so sick that her sister had to help her turn the pages of the book she was reading. Barbara was raised Catholic by a mother who had converted as a young woman of nineteen, and her Baptist parents disowned her until Barbara was born. She was well versed in scripture and was an evangelist and lover of the Church! She taught Barbara about her personal relationship with Jesus when Barbara was just a tiny preschooler. She told her to listen to the voice of Jesus and how to discern God’s voice. Barbara had memorable experiences of giving her life to Jesus then, and also when she had her first Holy Communion, and again when she was fourteen, and then several times as an adult– recommitting her life to God. She says that her commitment to the Church came from studying scripture with her mother, she was made to memorize parts of the Baltimore Catechism in spelling bee fashion, and her mom would patiently explain the scriptural references, and Barbara fell in love time after time with God and with the Church! Barbara aspired to be a journalist after high school, which she says was an honorable profession at the time! Her mind was changed when she accompanied a Sister to a nearby Native American Reservation where they would go to teach the children about God. She was going as a way to beef up her resume, not really because she was drawn to it. The first group she was assigned to was seven-second graders, they were outdoors under a pergola type structure covered with palm leaves. There was no blackboard and no books….she had to make it up as she went along, and Sister walked around checking on them, but she knew after those children received their First Holy Communion under her care, this is what she wanted to do! She went to college for education, but never finished because she got married and began a family. Gary is someone that Barbara had known from high school, he had joined the newspaper as a sports reporter and at first Barbara hadn’t been super impressed with him because she knew he had joined the newspaper to get out of his Phys. Ed class. That kind of annoyed her, that he was getting out of this other class, but he was able to go to all the sports activities, even into the locker rooms and became a valuable resource. Even though Gary asked her out several times she didn’t accept until he had proven himself as the awesome reporter he was. Little did they know that their mothers (vice-president and president of the school board) had been conspiring to get them to like one another. They didn’t know about that until much later. Gary and Barbara were always very involved with the church, and ministry work. CYO (Catholic Youth Organization) and CA (Catholic Actions) which eventually became CD (Confraternity of Christian Doctrine) were all groups that they belonged to. They married and adopted five children. When I asked her about that process of adopting, she said that before Roe v. Wade there were homes for girls who became pregnant, and it was not uncommon to go to the Sisters of the Good Shepherd in Phoenix to adopt a newborn baby or through Catholic Social Services. Because there weren’t as many abortions, many more people gave children up for adoption, and it was a natural and accepted practice. She felt very blessed by each individual child that was clearly a gift from God. They never kept the fact that the children were adopted a secret, but always accepted their questions with love. Barbara says that parenting the children came naturally to her as did homemaking, that’s how things were in those days, the man earned the living, and the woman kept the house and cared for the children. And they remained very involved in their church. Barbara says Gary was always a very good provider, and very faithful, but nowadays she would describe him as a saint because of all the hands-on care he does to maintain her health issues. There was a time when they struggled very much in their marriage, and at thirteen years together they considered separation. But because they could never tell their families this, out of embarrassment they stayed together. “God used it!” They had very strong personalities, and there were certain things they just couldn’t agree on, she said they prayed a prayer out of desperation one night, “Lord, if there is anything you can do to help us….” And the next day as they went about their normal routine, it was clear that God had actually reached in and changed their minds. Little unimportant things, now looking back- but things that they had been hung up on for years. They knew then that God was going to save their marriage. When their fifth and youngest child was in high school, Barbara returned to finish her degree from the Notre Dame Institute. Her first degree was in Theology. and then she ended up getting a Graduate Degree in Catechetics. At that time there were many young people coming to Steubenville to take classes that would allow them to go to their parish and have a job there teaching families the faith. Theology was a degree that helped them learn the faith, but not how to teach it. That’s when the University asked Barbara to begin writing and teaching courses that would do that very thing. Over the next fifteen years, that’s exactly what she did. Barbara is concerned first and foremost that most parents do not make time for their children in the way they should. She agreed with my analogy that if our work of raising our children is truly a mission-field, shouldn’t we give it the same care and attention a scientist gives their studies? If a scientist was truly observing his test subjects, he wouldn’t leave them be- no he would watch and learn and take notes, figuring out what each one was like. Children are like that. They need to be known, and treasured in a way that they can come to be understood, accepted, taught, and loved. it is a full time job, and somehow our culture continues to devalue and deny that. Here was her reply, from my notes, not word for word. No matter what you do, you can not keep them from making decisions that you will agonize over, maybe for years. Every family has those who no longer believe, those who have fallen away. Don’t ever think that you will be able to escape this. That being said, those are children who are in the process of coming back, or maybe they are far away, but they are just as loved as ever. We have had to repent to these children, as some of the reasons they are where they are is because of our mistakes in parenting them. 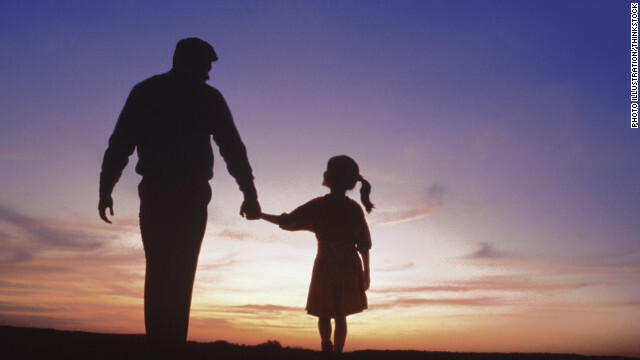 Most of the mistakes you make will be with your eldest child. You will hear the phrase, “you never let me do that!” We have to repent a lot to our grown children, and as new things occur to us, we repent again. We also have had to do this in our marriage. We used to like being married, but now we love it, because we experience the joy of the sacrament in a new way. Our attitude should be to prepare our kids, not to protect them. You can’t possibly shelter them, and if you try it will bite you in the back. Time. Do you have enough time to actually be with your children? It seems as if most of us are too busy. Each child needs to know that they are known. You can never get this time back again, you need to prioritize time with them at each age and stage. I will not always be as good as I would like to be and I will make mistakes. I will yell or scream, or even get physical with my child at some point, and I will have to repent and ask for forgiveness. Because I only have a limited amount of time with them, I need to make choices about the time I have with them, that it is deliberately spent. And if I don’t teach them how to apologize, who will? If you wrong a child and don’t admit it, that is a problem. Give them your mind and the churches mind! Screens need to be limited and monitored. Your kids are good at pretending they don’t care what you think, but they do. Talk to them and tell them why you think what you think, and continue making opportunities to have these talks. What better place to let them encounter this stuff than at your side? Share your testimony. There should be two stories your children know well: why you love Jesus, and why you are a Catholic. Share your worldview, listen to talks that bring this topic to life. Friends of early Christians said that Christians “turned the world upside down!” We also need to be trying to do this. A family that prays together, stays together. It’s so true. More than prayers before meals and Sunday mass are simply not enough. Regular family Rosaries or prayer times are very important. Restrict, but explain. A lot of children were hurt in the Word of God Community because there were so many unexplained rules and regulations. In this day and age we have more situations to say no to, use those golden opportunities to go into their bedrooms and check out what they are doing, and shed some light on the situation. Just because you explain doesn’t make it plain. We are given the children God wants us to parent. Focus on creating lasting and enduring relationships with each child, even if that means listening to music you wouldn’t normally listen to, or watching shows you normally wouldn’t watch (Barbara watches The Voice every week with her grown daughter)! It is most important that the children see and feel our dedication and love of them over all. That is what matters. When they fall, they know they can trust us to return without judgment. With love. With hope. With the belief that everything and anything that will happen to them throughout their lives is of no consequence. We will love them anyway. Always. I hope you enjoyed this. Look for more interviews coming soon. May the grace of the Lord Jesus Christ be with you and your families.